Indonesian comedian Sakdiyah Ma’ruf with a comedy show on Tuesday 15 November alongside The Chaser's Julian Morrow. For those who are not familiar with Sakdiyah Ma’ruf she is Indonesia’s first female Muslim stand up comedian and freedom of expression advocate. At a time when the future is uncertain for everybody but rich billionaires in America, Sakdiyah will talk comedy, religion and where to draw the line with freedom of expression abuser Julian Morrow from The Chaser. The new Next Door Land e-learning game takes players on a virtual journey through Australia and Indonesia. 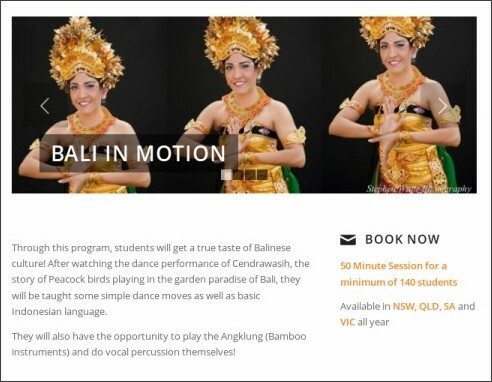 Along the way, you’ll get to experience the hustle and bustle of Jakarta, race to the top of Sydney Harbour Bridge, learn to play the gamelan, surf near Perth, cook Indonesian dishes and play cricket in Adelaide. You’ll also learn about the history of both countries, their traditions, cultures, architecture and mythology. Next Door Land aims to foster people-to-people links and promote cultural understanding among Indonesians and Australians, particularly primary and junior secondary students. The game includes aspects of history, music, sports, architecture, and mythology. Next Door Land is designed mainly for primary and junior secondary school students. However, the game is also practical for teenagers and adults who are interested to learn more about Indonesia and Australia in a fun way. Next Door Land was created by the Australian Embassy with an Indonesian game developer, Agate. The Ministry of Education and Culture, Asia Education Foundation and Australia-Indonesia Youth Association (AIYA) have also been involved. It is now available for free download at the Department of Foreign Affairs and Trade’s iOS and Google Play pages, as well as ABC Splash and the education portal of the Indonesian Ministry of Education and Culture. Click on the files below to download a copy of the Curriculum Guide to support teaching and learning document developed by the Asia Education Foundation and Next Door Land - Fact Sheet. Langen Suka is a Sydney ensemble dedicated to the performance of Javanese gamelan. 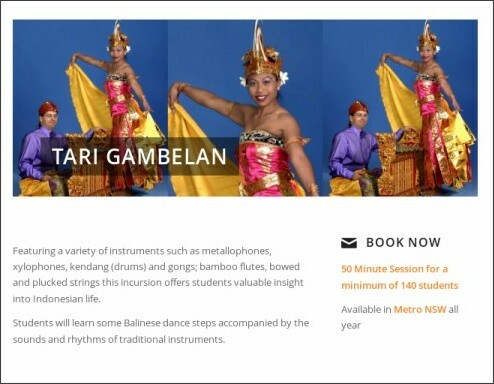 With its interlocking and cyclical melodies and rhythms, this musical tradition combines gongs of all sizes, bronze chimes, xylophones, drums and flute with sung poetry evoking the ancient Hindu-Buddhist past of Java. This concert presents a selection of instrumental and vocal pieces ranging from haunting and meditative to thundering and majestic – an hour of music designed to calm the soul and revive the spirit. Gap Indonesia conducts study tours to Indonesia for Australian school students and school leavers. The team behind Gap Indonesia is also the team behind International Internships, which has been operating internship programs and study tours in Indonesia since 2005. We are a small organisation based in Melbourne with a passion for immersing ourselves in other cultures. For more information, visit www.gapindonesia.com or contact Nerida Thompson. We are proud of our well-balanced, educational and fun itinerary, which sees a different focus in each location. • Yogyakarta - Indonesian language, culture and community development. Students will spend lots of time with buddies from a local university. The buddies will join many of the group activities such as visits to local temples, Mt Merapi and some great not-for-profits like Legal Aid and Friends of the Earth. 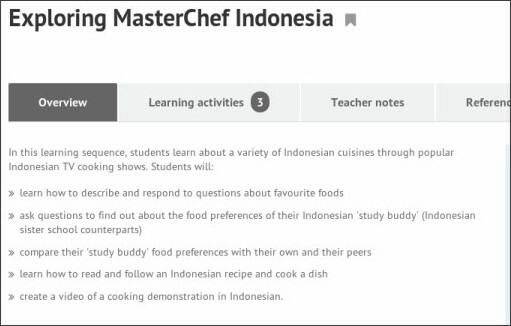 The students can choose between the intensive language stream (20 hours of Indonesian language classes) and a general stream for those not so focused on the language. These two streams will do slightly different activities at times in Yogyakarta but will spend the majority of the time as one group. • Jakarta - government and business. Students will witness the huge range of activities happening in Indonesia through visits to organisations such as the Australian Embassy, ANZ, the Indonesian Biodiversity Foundation, the Indonesian Stock Exchange, the Human Rights Working Group and much more. • Sumatra – environment & sustainability. The students will trek through the rainforest to learn about the issues facing Indonesia's environment and see orangutans in their natural habitat. They will also volunteer with a local environmental NGO, to which some of the program fee is donated. Our Indonesia team includes Jack McNaught, a former university lecturer in Australia with years of experience managing groups in Indonesia; and Frida Komesaroff who is also a fluent Indonesian speaker with years of teaching experience and who ran the Indonesia Uncovered Tour last year. The Gap Bali program is a four-month program aimed at school-leavers. It will begin in the second half of 2016 and has an itinerary that allows for a certain degree of tailoring to individual interests. August – Study Indonesian and discover the local Balinese culture, scenery and cuisine. Participants are connected with a buddy from our local partner university. September – Teach English in a remote village. October – Volunteer at a local NGO. November – Do an internship in a field of your interest. 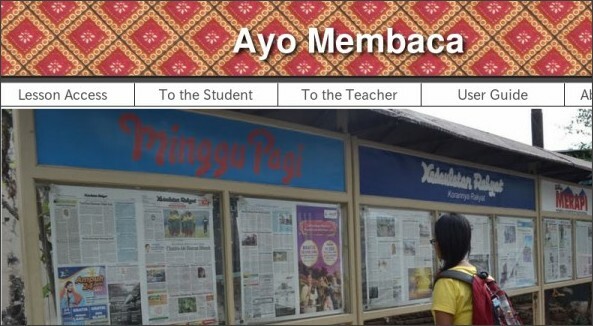 The Ayo Membaca website is a set of online, interactive reading lessons for Indonesian. The Cultural Infusion Culture in Education program promotes cultural harmony, wellbeing and engagement with the arts through the delivery of a range of school programs, including: school incursions, multicultural all day programs, concerts, tours, interactive workshops, artist-in-residencies, youth and training programs. Next year, 2 Indonesian specific workshops will be offered to schools. For more information including programs and tour dates, visit the Cultural Infusion website at http://culturalinfusion.org.au/ or click on the images below.